I recently paid a $35.00 application fee for a rental property. I called the realty company the following day and was told the person that ran the tenant screening reports was out until after lunch. I asked if they would call after the report was completed and was told they might call that day, Friday, or it might be Monday. I heard nothing on Monday and called them on Tuesday, leaving a message asking them to call with results of the report. They did not return my call. I found this listing on Craigslist and verified that it is a legitimate business. Since touring the home and paying my application fee, I find that the house is also listed on several well-know real estate websites. Because the home is in such great shape and priced below the going rates, I believe this company is accepting numerous application fees with no intention of checking them out! Is there a law against this, or at least a way to get a refund of my application fee and warn others? It’s important for landlords to understand the rules concerning application fees. State law prevents a landlord from using application fees as a profit center. Generally, a landlord can charge an application fee, but the amount charged must bear a relationship to the actual costs of running a tenant background check. A number of states expressly prohibit application fees beyond the cost of running tenant screening reports. Others limit the specific amount that can be charged – typically less than $40. Oregon and Wisconsin are examples of states that prohibit landlords from charging an application fee is some cases. In all instances, the application fee should be returned if the landlord does not run tenant screening reports on the applicant. In addition to violating state law, accepting multiple application fees with no intention of running tenant background checks could spark allegations of fraud. This tenant’s question also raises other important issues for landlords — ones that adversely affect a landlord’s profit margin. For instance, if a tenant qualified to tour the property and fill out an application, he or she should not be left on hold waiting for the tenant background check. Tenant Verification Service can provide these reports very quickly. Rental profits rise and fall on the quality of tenants. Discouraging the good ones leaves the landlord with the only obvious alternative — the problem tenants. 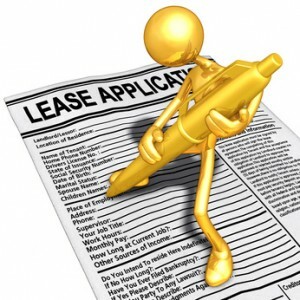 This will increase the chances of property damage or loss of cash flow from tenants who don’t pay rent on time. This situation also foretells what sort of online reputation this management company is earning for the landlord. Note that this tenant is seeking a way to “warn” others about this company’s property management practices. Most tenants search local online reviews before making the decision to apply for a vacancy. Prospective renters care what other tenants have said about a property. Properties with bad reputations attract only bad rental applicants. Given the speed and reach of the Internet, the downward spiral can ruin a profitable rental business in a matter of months. Following the rules is important, especially if you want tenants to follow them as well. Communication throughout the application process is central to attracting and retaining the best tenants. How can I get my application fee back if it was not used for screening and maybe used for fraud purposes?